"Keep It Together" is a song by How To Destroy Angels, and the first single from their second release, An Omen EP. It is also one of four songs from An Omen EP featured on HTDA's first full-length release, Welcome Oblivion. The artwork for the single was originally posted to the band's Tumblr blog on October 2nd, albeit with no indication that it was any kind of single artwork, as it reflected the general style of promotional art created for the EP. On October 4th, a page for the track was created on Amazon US and it was released on October 9th. The song premiered a day before its digital release date on Zane Lowe's BBC Radio 1 show in an interview with Trent Reznor, and was subsequently released in streaming form on Pitchfork, SoundCloud, Tumblr and YouTube. On October 18th, the first ever official remix for HTDA was released via SoundCloud, with a free download available. Remixer Dave Sitek described the track as "A chance to be pushed through the veins and swarm the heart, saddled to this strange drug music … a wild trip…. I was lucky to be asked." A physical version of the single on 12" vinyl was packaged with An Omen EP for anyone who bought directly from the HTDA website. This is the version released as a single and from An Omen EP. 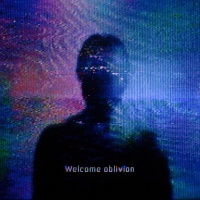 This is the version from Welcome Oblivion, and is one second shorter to fit the track segues. This is a remix of the track by Dave Sitek, and the first remix ever released for HTDA. It runs at 4:37. This is a remix of the track by British band Factory Floor, and the second remix released for "Keep It Together". It runs at 7:21. This is a remix of the track by Nosaj Thing AKA Jason Chung, and the third remix released for "Keep It Together". It runs at 3:53. A teaser video for the song was released October 8th, and simply shows someone placing the audio reel for the song onto an Amper console, and then playing the song from start to finish. A second video was released November 1st, and shows the full band (including Rob Sheridan, formerly only art director, on modular synthesizer) performing the song in studio. This was the first music video by HTDA to accompany a single, as 2010's "The Space In Between" was a standalone video release, and not accompanied by a single. Previous track - "The Wake-Up" Track 2 from Welcome Oblivion Next track - "And The Sky Began To Scream"
Previous track - "N/A, First Track" Track 1 from An Omen EP Next track - "Ice Age"
This page was last modified on 16 December 2018, at 21:35. This page has been accessed 36,986 times.